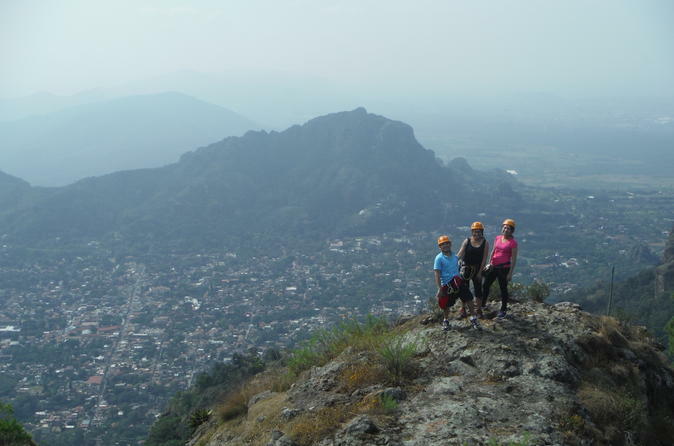 In this tour you will go on a hiking adventure in Tepoztlán with 2 optional rappels. 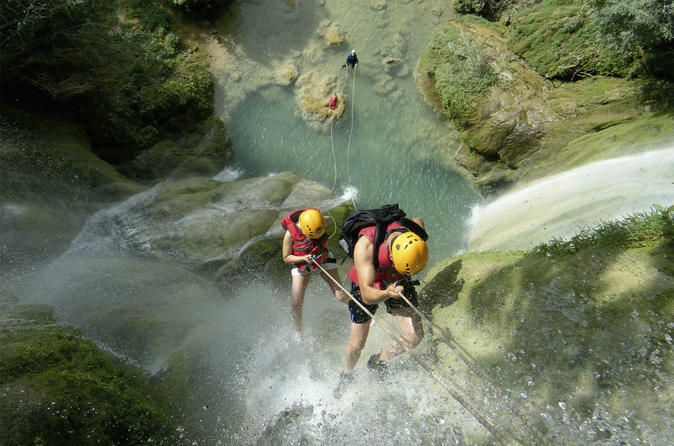 This is a canyoning adventure in a beautiful location surrounded by plenty of turquoise waterfalls. Enjoy a 35 m rappel in the main waterfall and then jump into 8 different water pools. 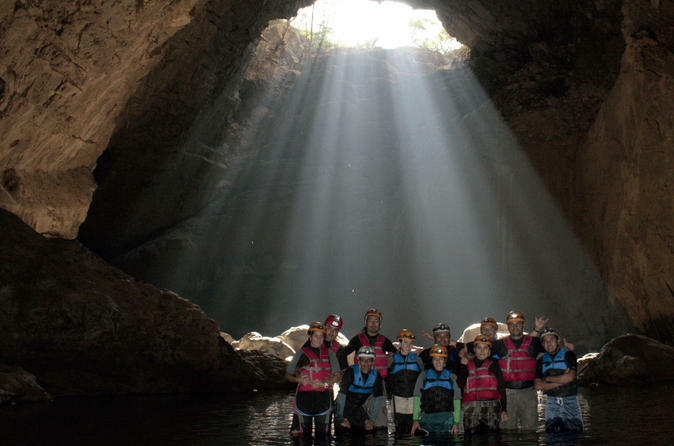 Caving adventure in the heart of a mountain where you will explore majestic caverns while you walk and swim through an underground river. 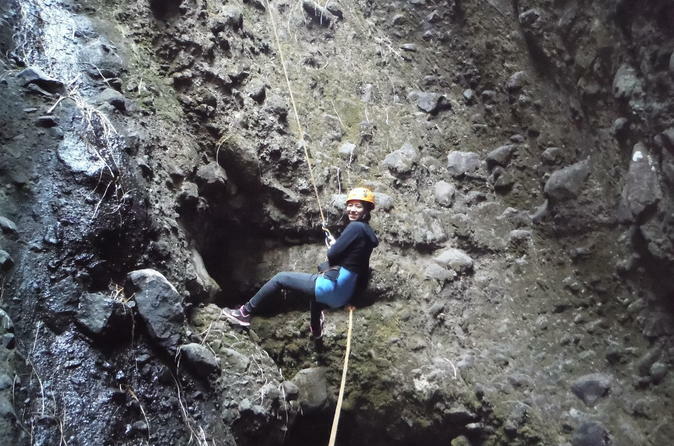 Canyoning adventure with 12 incredible rappels in the heart of the Tepozteco mountain! 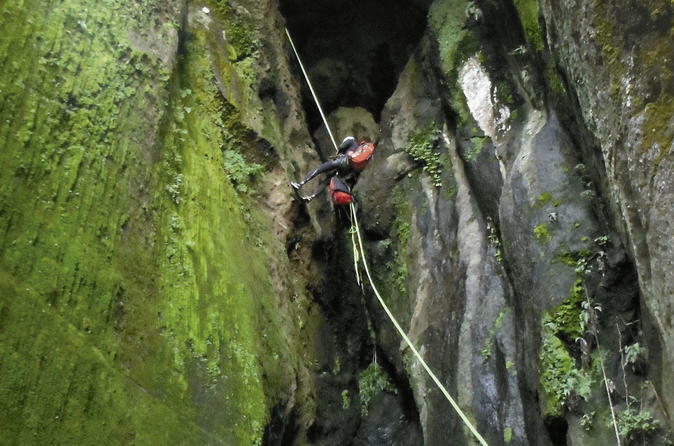 Canyoning adventure with 3 fun rappels. 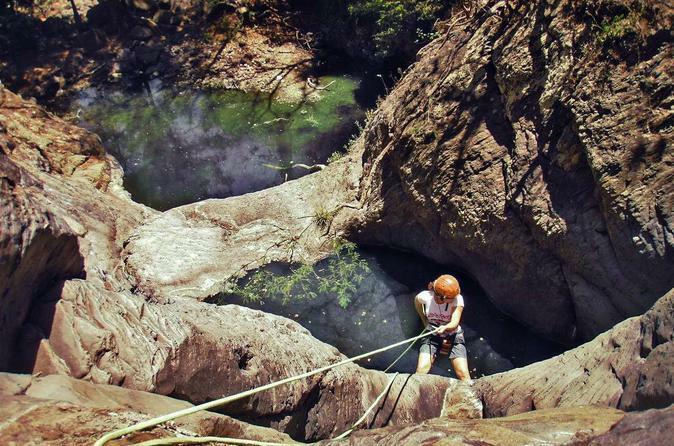 Enjoy a canyoning adventure with 8 astonishing rappels deep inside a beautiful forest. You will have an unforgettable experience with professional guides and all necessary equipment. 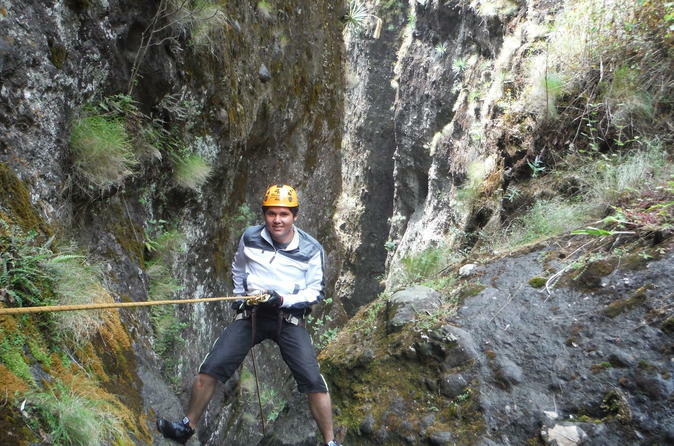 In this canyoning adventure you will be able to experience 3 rappels through a forest where Quetzalcóatl was baptized.